Setting up a lead nurture program is not a goal in and of itself. 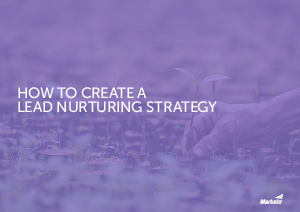 Instead, lead nurturing is a vehicle for your business to get to your overall goals. The key to designing an effective lead nurture program is taking stock of your current lead management processes. By asking the right questions, you will not only uncover opportunities for improvement, but the information will also play a critical role in defining issues of workflow.